Welly-moot: Welly-moot 2.2 (April 28, 2013) - Dual Themes! Welly-moot 2.2 (April 28, 2013) - Dual Themes! Due to the increased size in the group, this month we're going to try discussing two separate themes. The size of the group and the venue means it's becoming harder to hear everyone properly. To adjust, we're splitting the group into two separate themes, and you can pick (and switch!) at any stage of the meeting. For theme 1, bring along your copy of The Hobbit book, and feel free to read a small section of it to the group, and explain why you enjoyed that part more than others. For theme 2, we will talk about some of Tolkien's other tales, not set in Middle-earth. Farmer Giles, Roverandom, Leaf by Niggle, or any of the others - what makes them special? Do they relate to Middle-earth at all? Do they share common themes? Let's talk! Also, we hope to have Annabel Graham with us again. 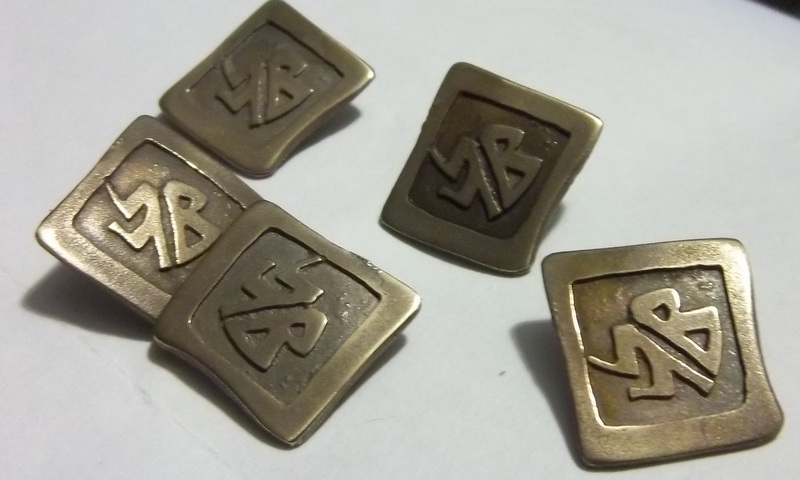 Annabel is a jeweller who creates beautiful pieces for Doctor Who fans the world over, and she's hand-crafted a bronze badge for us. She showed us a sample at the last moot, which was adored by all. The Welly-moot badge - get one now! As promised, we've managed to keep the price very low compared to her usual pieces - it will be less than $20 (a final price will be set before the meeting). So please, bring a $20 note, and wear the Welly-moot logo with pride. We'll see you next week - bring friends, family, or perfect strangers! And please, spread this announcement on your facebook pages, twitter account, work noticeboards, etc.